Our membership consists of life science professionals from a broad range of experience levels. A large percentage of our members hold senior or executive positions in the industry, and we are proud to have numerous entrepreneurs who have founded successful life science companies. In addition, we continue to attract new talent from the local academic institutions (UC Berkeley, UC San Francisco, and Stanford University, among others). Any individual who supports the objectives of CABS and is willing to contribute to the achievement of those objectives is eligible for membership and will be admitted to membership in CABS upon completion of membership registration. All members shall accept and respect the Bylaws of CABS. Individuals who wish to stay informed about upcoming CABS activities but do not wish to join the CABS membership can join the mailing list only.CABS makes efforts to protect the privacy of our members and does not share our membership information with any third parties. In addition to the membership benefits listed below, a CABS member also enjoys significant discounts for CABS event registrations and a free subscription to the CABS megazine Trends in Bio/Pharmaceutical Industry. which could lead to unexpected insights. The CABS International Collaboration Committee (ICC) strives to promote international collaborations with various life sciences organizations and serves as a bridge that connects our members to life sciences communities in the Pacific Rim countries. 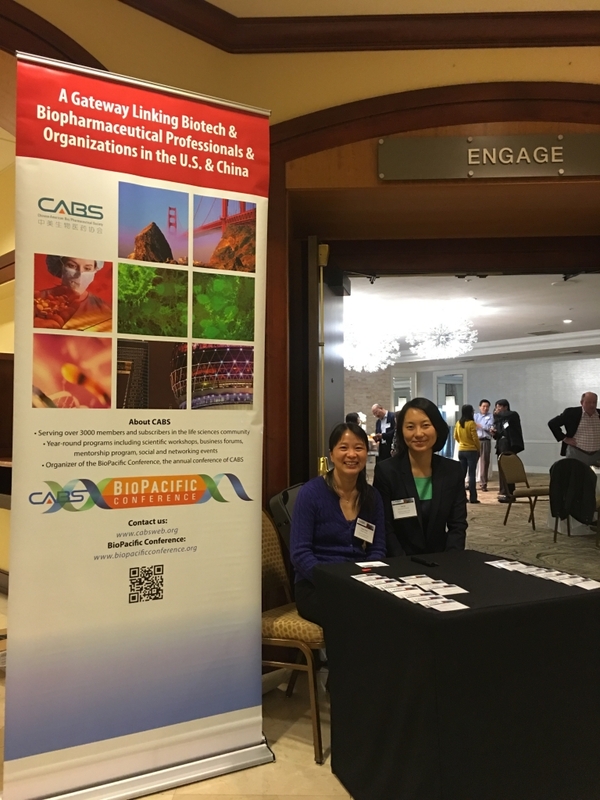 This year we arranged our annual CABS entrepreneur delegation trip to China and hosted multiple Bay Area events for life sciences organizations from the Pacific Rim countries to facilitate networking and partnership opportunities with CABS members. Due to popular demand, BCD launched the CAN program for the 5th consecutive year. CAN is a personalized career advisory platform designed to provide one-on-one interaction between a designated mentor and mentee. Since the inauguration of CAN in 2010, the program has been very successful and we have a growing number of CAN participants. This year, we have a total of 37 mentors from a broad range of functional areas in life sciences committed to serve our program. The CAN kickoff meeting held on 22 March 2015 was a great success with over 70 mentors and prospective mentees participating in this event. Details on the CAN schedule for this year are posted on the CABS website (www.cabsweb.org). The Social Life Committee (SLC) is dedicated to serving our members with high quality indoor and outdoor activities. Within the CABS community, SLC intends to provide a bridge for connection and interaction, enrich and improve quality of life by organizing fun and memorable experiences, and sharing knowhow and experience. SLC actively organizes interesting talks, social events, and fun activities; promotes networking between CABS members; attract new members; and collaborates with other societies to enrich the community. The Fundraising Committee in the term of 2016-2017 will be focusing on building alliance with sponsors and promoting the brand of CABS. The new committee will be responsible for promoting CABS brand and building long-term relationship with our existing and potential new sponsors through various events and venues in collaboration with other CABS committees. Our sponsors come from a variety of communities, which includes but not limited to China and US pharmaceutical companies, CRO companies, local government and business parks, and venture capital investment firms. 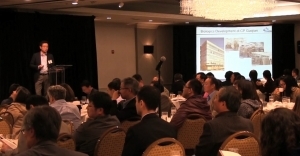 We are bridging our professional community in the bay area and beyond with our sponsors in China and the US. The new committee will shift from sponsorship orientation to alliance building and value creation. Our committee was, is and will continue to play a crucial role in supporting our CABS family. 1. Extend your brand in China and United States. 4. Bring talents/projects/startups back to China. 1. 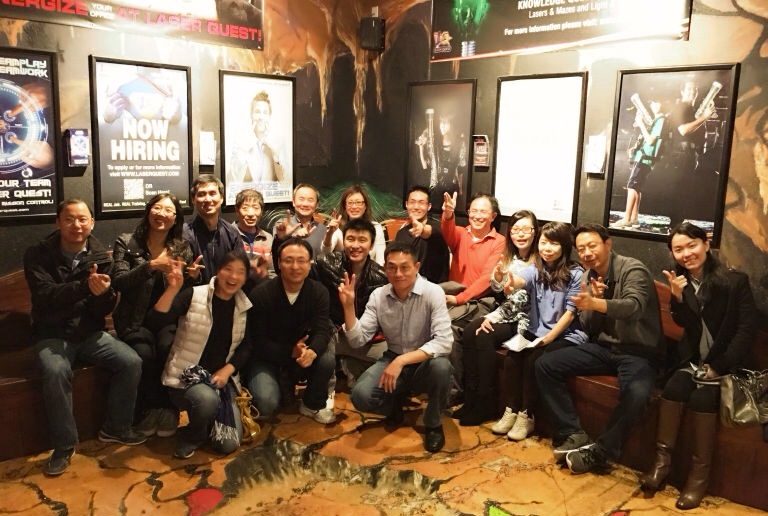 Build network with companies and talents across China and United States. 2. Develop your ability in business development. 3. Explore your leadership potential. The CABS Publication Committee leads and builds communication channels between CABS, its members and the local biotech community. We are responsible for keeping CABS website up to dated, posting events and announcements. Our weekly newsletters promote our upcoming events, highlight past events and providing information about new career opportunities. For CABS’s annual BioPacific Conference, the Publication Committee takes the lead to prepare high quality conference brochures for the event attendees, which is one of the highlight for the conference.